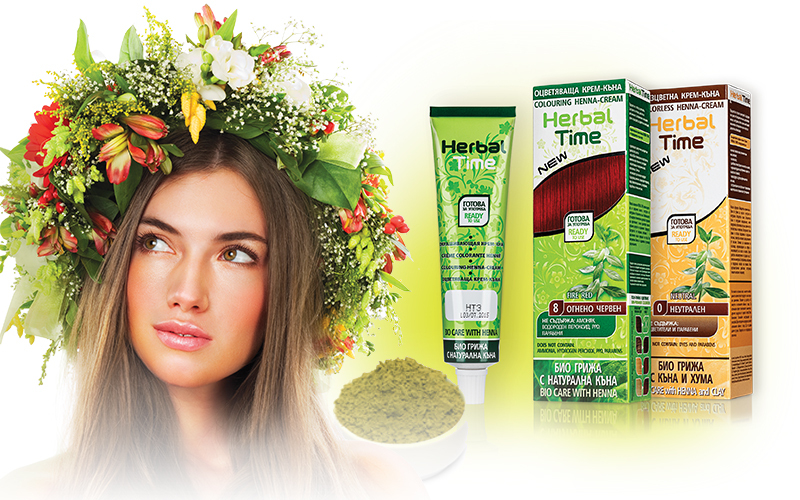 The new formula HERBAL TIME does not contain ammonia and oxidizer. It gently colours and nourishes the hair with extracts from natural and colourless henna. The combination of cutting edge technology and ancient traditions in hair dying with natural henna guarantees an excellent result in harmony with nature. Extracts from nettle and vitamin F in combination with olive essential oil provide the hair with irresistible shine and strength and make combing easy. Colouring cream henna HERBAL TIME is avanguard product with the following advantages compared to the traditional oxidizing hair dyes and powder hennas.